One of the newest memorials in the plaza, the World War II Memorial is located just south of the American Legion national headquarters. The design of the WWII Memorial is similar to the Korean and Vietnam War Memorials, but it was made considerably larger to reflect the size and scale of World War II. 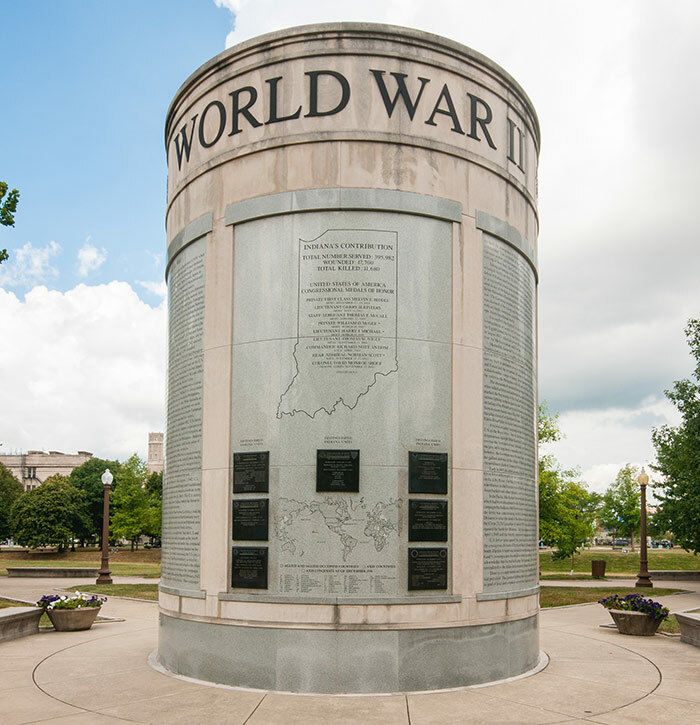 LOCATED ON THE CONCAVE SIDE OF THE MEMORIAL is a weatherproof computer with a database of names of all the Hoosiers who lost their lives in WWII, as well as many veterans who returned home. The convex side features excerpts from Hoosier soldiers’ letters home to friends and family. 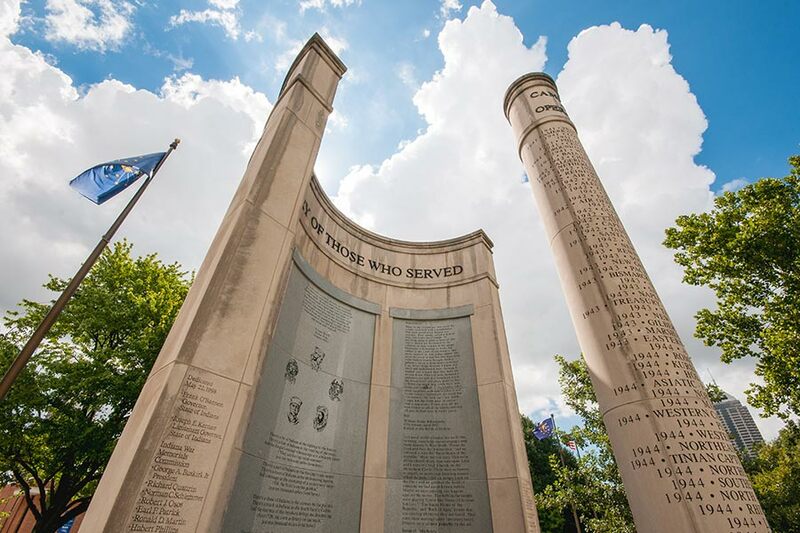 A freestanding column lists the order of campaigns and major theaters and operations of WWII. The memorial consists of a half-circle of granite and limestone and is 18 1/3 feet in diameter. Indiana lost almost 12,000 men and women during WWII, with another 17,000 returning home bearing the painful scars of wounds.